Team up with a Yellowstone Forever Institute naturalist guide to discover wolves and elk, Yellowstone’s marquee predator and prey species. The elk mating season, or rut, spans late summer and fall where we’ll take plenty of time to enjoy and discuss the dramatic displays of mating bulls. Wolves are more elusive in fall but sunrise wildlife watching trips will still give us a good chance of observing wolves in the wild. 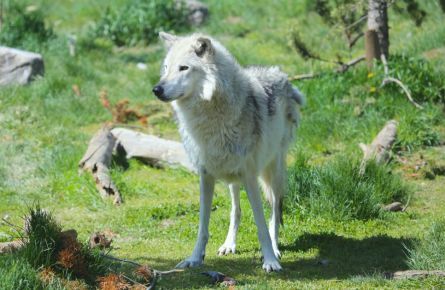 Other activities include short hikes in wolf and elk habitat that includes discussions on the behavior, ecology, and management of both species. View the itinerary. Activity Level – Hikes up to 3 miles per day with elevation gains up to 600 feet. Some off-trail hiking possible. Lodging & Learning programs are offered in partnership with the Yellowstone Forever Institute. *Rates do not include taxes, fees and gratuity. Minimum age of 12 years old. Minimum of four persons required for course to occur. Program is offered: September 2 – September 25, 2019. Have you ever heard the bugle of the bull elk during the fall rut? 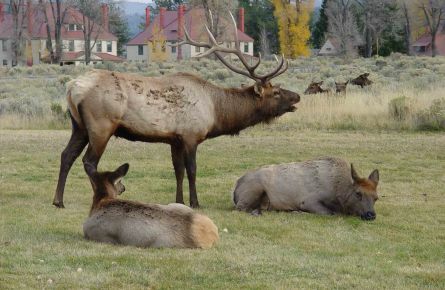 It’s an experience unlike any other in the park, with elk bugling ranging from low throaty sounds or a series of deep grunts to high pitch whistles. Rick McIntyre arrived at Yellowstone National Park in 1974. He’s held several titles since then, but none have been more satisfying than the one he’s enjoyed for well over a decade: biological technician for the Yellowstone Wolf Project.